I won the first round, as we opened the second, I won 3 hands in-a-row. The jokes at the table then began to be directed at me, they knew who would win each hand. This perception felt like a cut, stated somewhat begrudgingly. While I did win the next round, there were others at the table who were only one hand behind me. I felt shame and apologetic. For what? For winning?! This is part of the story of my life. The difference is that in the scenario above, my success was out in the open. It was not something I could hide like my grades, my certifications, my degree, my accolades and praises. For most of my life, I have felt shame for my successes, some hard fought to show and to prove to myself and others that there’s nothing inherently evil or wrong about me. This irony is the razor’s edge of living with shame. We’re afraid to be good, too good, and yet we’re also afraid to show our crap. It’s all a trap! Each type of shame just holds us back from our own greatness. It’s time to break free of the shame that binds us and tethers us to a mediocre reality. Each of us in our very own captive AND prison warden. As such it is up to each of us to let loose the shackles, to stand up and shine the light that is our uniqueness. 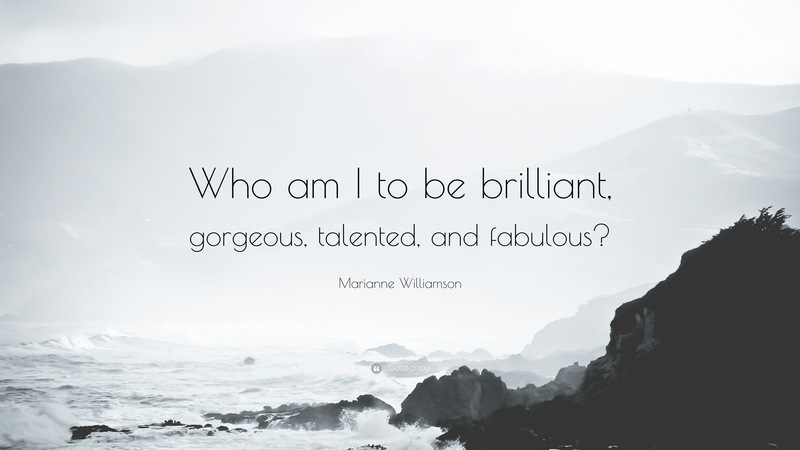 This reminds me of one of my favorite quotes by Marianne Williamson, see it below. Come now, join me! It’s time to show the world what we’ve been hiding: Our bright, beautiful, superbly unique selves. This planet needs us to shine on. Walk through the fire of the lies others have told you about what’s wrong with you: the good and the bad. Once you reach the other side, you’ll find yourself transformed and more resilient, ready to show more of your light in your own, intentionally unique, magnificent and beautiful way. This is your permission to shine! Let’s roll! The voice of shame puts us down and keeps both our darkness and greatness hidden from ourselves and the world. “Who am I to be great?” is as much the voice of shame as “there is something terribly wrong with me.” These, and thoughts like them, keep us isolated and afraid of revealing ourselves. I’m speaking to you as much as I am to myself. For much of my life I’ve felt as if there were something inherently wrong with me, to the point that when something in life goes wrong, I’m the first to lay blame on my own shoulders. This belief has also been the fuel to pushing me forward at times as well as the weed that chokes my breath and keeps my paralyzed. Neither is really healthy. In trying to hide my faults, I’ve isolated myself, repeatedly, only allowing people to get but so close. 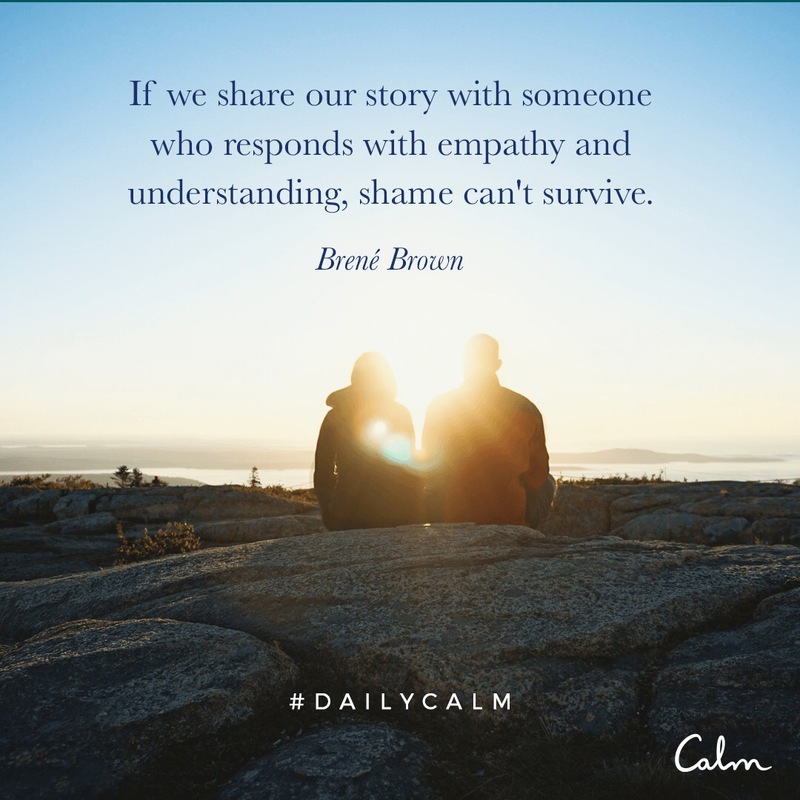 While I can share things that many would consider too private, I struggle with maintaining that level of intimacy and vulnerability for any length of time. My fears of rejection and abandonment then become self-fulfilling prophecies and once again I find myself feeling alone. It is my goal over the next month to consistently post on a weekly basis about things that I’ve found shameful; things I’ve tried to hide. It is only when the light is shone on the darkness that healing can persist. I’m tired of hiding. If you’re still reading, I’m guessing you are, too. Please feel free to share any stories in the comments, on your own blogs or feel free to Gmail me at Tiffanybeingfree.